Conor O'Malley; Graham Kelly, Gavin Peers (Sam Verdon 82), Rory Feely, JJ Lunney; Lee Desmond, Patrick Cregg; Conan Byrne, Darragh Markey, Josh O'Hanlon (Billy Dennehy 66); Christy Fagan (Josh O'Hanlon 66). Conor Winn; Colm Horgan, Lee Grace, Stephen Folan, Marc Ludden; Alex Byrne (Eoin McCormack 79), David Cawley; Kevin Devaney, Gavan Holohan (Conor Melody 70), Ronan Murray; Vinny Faherty (Padraic Cunningham 70). 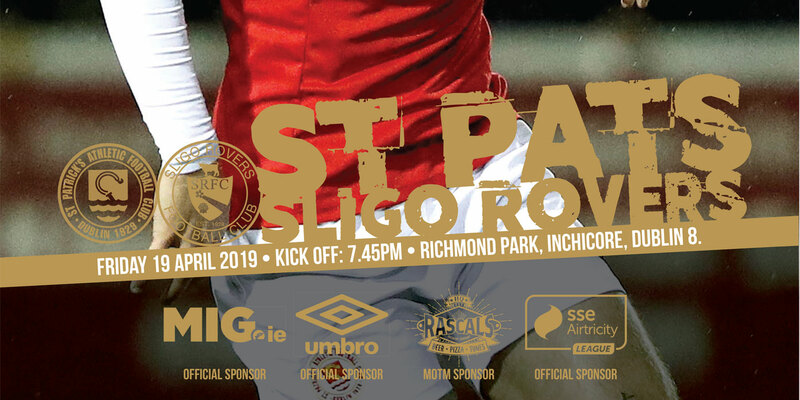 Substitute Padraic Cunningham salvaged a point for Galway United with a late equaliser as the the battle of the bottom two in the SSE Airtricity League Premier Division finished in stalemate at Richmond Park. 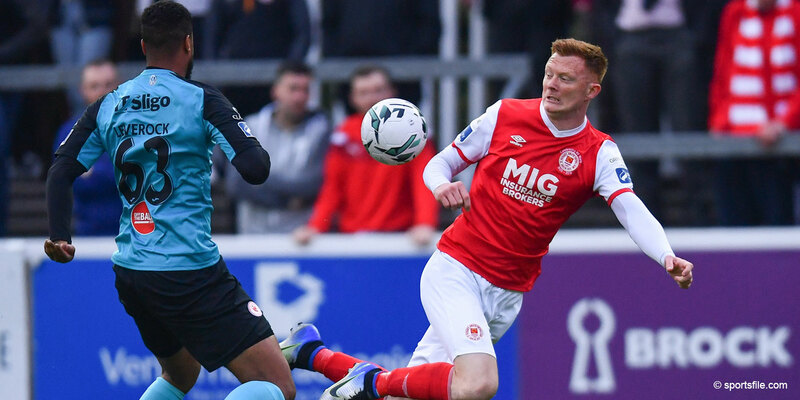 Conan Byrne's opener, his 50th league goal for the club, was enough to lift St Patrick's out of the relegation zone, for 24 hours at least, though Galway remain rooted to the bottom. Missing their suspended captain Ian Bermingham, St Pat's were first to threaten on seven minutes. Christy Fagan's clever back drag put JJ Lunney, playing in Bermingham's stead at left-back, in behind. His cross picked out Byrne at the back post whose downward header was saved somewhat clumsily by Conor Winn. 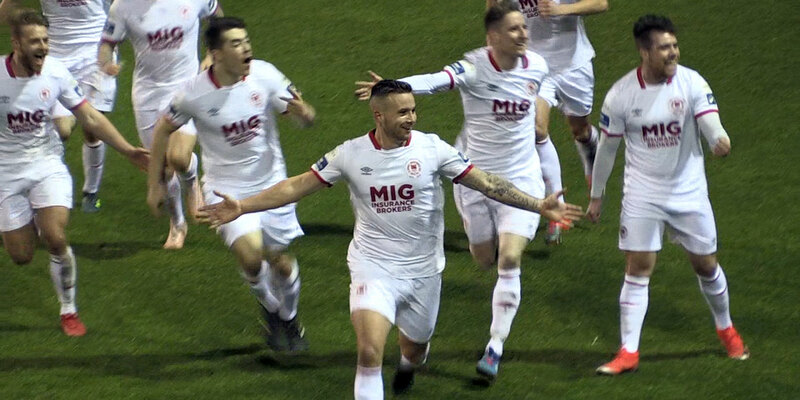 Winn gathered more comfortably five minutes later from Alex O'Hanlon's shot straight at him after a cross from Byrne was cleared to him on the edge of area. Galway were well in it, though, as Ronan Murray and Gavan Holohan had shots blocked before the former beat the home offside trap in from the left on 15 minutes to bring a diving save from Conor O'Malley low down to the â€˜keeper's left. Murray continued to look dangerous, troubling St Pat's again with a run across the area before scuffing a shot wide. Minutes later the Mayo man collected David Cawley's pass to hit a firm shot which O'Malley was grateful was right at him. Unsure at the back, St Pat's then had a let off on 24 minutes when Rory Feely's back pass beat O'Malley who was relieved to see it bounce into the side netting for the concession of only a corner as Galway began to dominate. O'Malley then had to produce the first telling save of the night five minutes later. Kevin Devaney picked out Murray with a low corner with O'Malley going full stretch to his right to push the first time drive round a post. Murray was then left holding his head in his hands as he blazed over the bar following a further mistake by Feely on 33 minutes. If out of sorts in the opening 45 minutes, St Pat's started the second half much the better and were ahead three minutes in. The impressive Lunney got into the Galway box on the left to cross. And though Fagan's lay off was over hit, the ball broke for Byrne whose low shot deflected to the bottom corner of the net off the unfortunate Marc Ludden. Galway worked hard to respond and were inches from equalising on 64 minutes. Captain Colm Horgan got to the end line on the right to cross for Vinny Faherty whose back post header came out off an upright. Deserving something from the game, Galway did get their reward on 83 minutes. Ludden's long throw caused confusion in the St Pat's area and Cunningham squeezed the ball home at the near post.